AN expat security boss is warning people to be vigilant of a ‘shocking level’ of drink-spiking on the Costa del Sol. 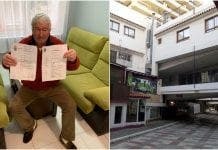 In just six months since setting up his private security firm CP Marbella, he claims to have heard of at least 15 victims of the crime. In addition to the use of GHB to drug and sexually assault women, he warns of an increasing trend of gangs using women to drug male tourists with ketamine, a horse tranquiliser, that makes them powerless and easy to rob. James Hickey, 36, says he is so shocked at the increasingly brazen approach of the criminals, that he felt he had to speak out. “It’s very worrying as it seems that anyone is a target,” the former Royal Green Jacket soldier, told the Olive Press. “What we are seeing is an increase in gangs using women to flirt with men before spiking them and robbing them. 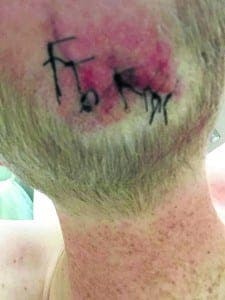 “A police contact has warned me that crime related to spiking is very prevalent along the coast,” continued Hickey, who moved to Estepona after working in the Middle East for the past eight years. 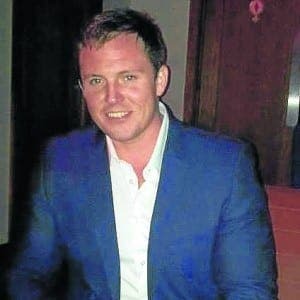 One recent victim includes holidaymaker Darren Parker-Meade, who was enjoying a few of drinks with friends in Fuengirola when he claims to have been drugged. He told the Olive Press that he was accosted by a woman down a quiet side street, who blocked his way before he was hit over the back of the head and robbed. “I remember walking and feeling like I was having an outer body experience, I have never been in a state like that, which is how I knew something was wrong,” said Darren, 49, from Birmingham, who was on holiday with eight pals. The account director suspects he was targeted because he was holding on to the group’s kitty, which was being used to buy rounds of drinks. While the cash, around €150, was stolen in the attack, oddly they didn’t take his wallet or phone. Darren woke up the next morning in Malaga A&E, with four stitches in his head and a bad headache. 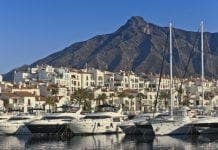 This weekend, an elderly British expat couple from Estepona were drugged with Ketamine in Puerto Banus. The pair, who are neighbours of Hickey, were robbed of their jewellery and watches while in a semi-conscious state. “They were taken to a quiet corner in the port, where they were robbed,” said Hickey. The Olive Press launched a campaign to address drink-spiking in 2014 after we revealed Spanish police had no records for the crime. The #NOTINMYDRINK campaign has also been trying to raise awareness of Drink Spiking. Like the Olive Press, we have known for a long time that it is a serious problem and a problem that is only growing exponentially. The drugs that are used for drink spiking are ubiquitous and cheap to buy. However, as few people report the crime and it’s difficult to get evidence, authorities are sceptical and are usually unsure of how to deal with reports. The #NOTINMYDRINK campaign has been reading the Olive Press’s articles about drink spiking over the last 2 years. We know personally how frustrating it is that this crime is being brushed off as non-existent ‘hype’ and how difficult it is to raise awareness of the problem. We completely support your continued attempts to raise awareness. We need victims to stand up and speak out. We need potential perpetrators to know that it’s a criminal offence to spike someone’s drink. We need people to watch out for others and prevent perpetrators from committing the crime. We need everyone to become aware that this is a serious, global problem. We need people to be wary and stay in groups of people they can trust. We need bars and clubs to become more vigilant and aware of the problem. It’s not just ‘partying’ places like the Costa del Sol where this happens: university students, single mums, business travellers, kids at theme parks – everyone is a potential victim of this cowardly crime. It changes lives forever. Thank you Olive Press for keeping this afloat. Spread the word and join us at #NOTINMYDRINK. MY BODY. MY RULES.